It looks good, the hubs of the road wheels and idler wheels are molded of clear plastic so crewmen can see the oil level. Sort of resembles a bottle of cola when sitting on its side and looking at the bottom. I also think you mean Operation Iraqi Freedom. 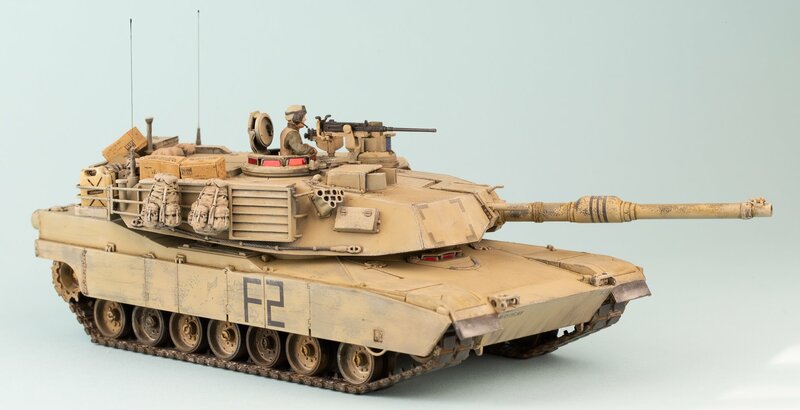 The M1A2 was not fielded during Desert Storm and the combat identification panels on the front, sides and back of the turret weren't fielded until the mid to late 1990s. Nice build. 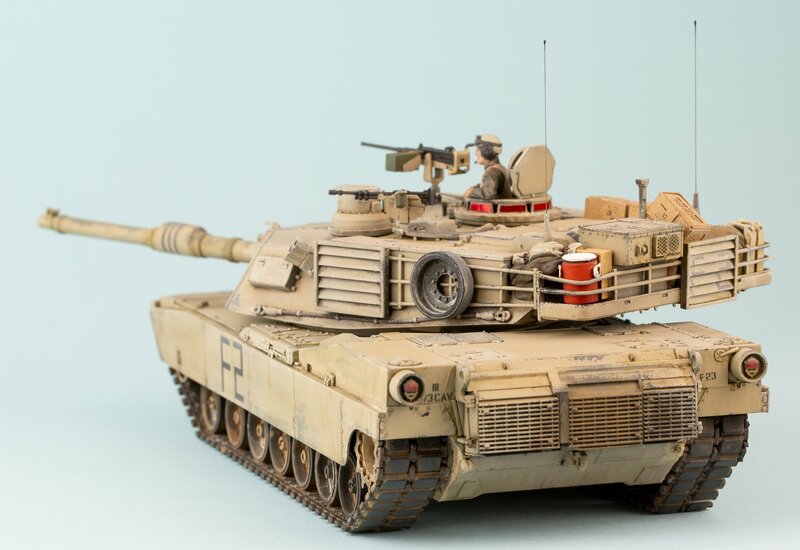 I would not have known it was 1/48. 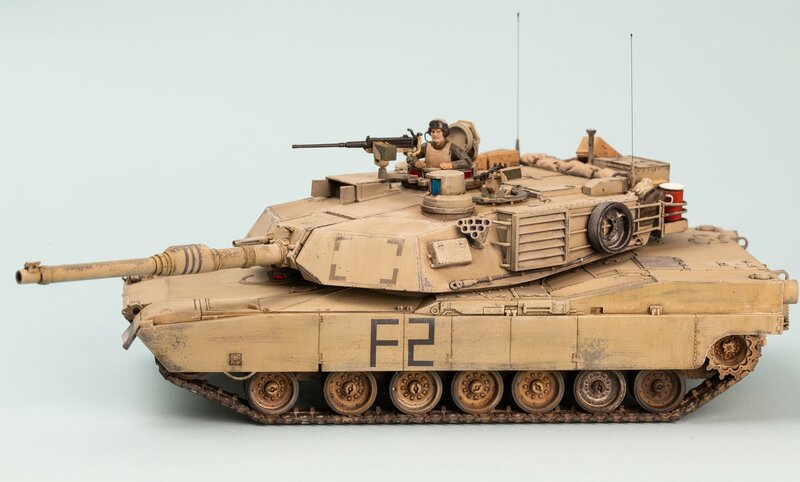 I agree, to go with their HMMWVs and Abrams, I would love to see an M113A2 with options to make an A3, a Bradley and M60 series. 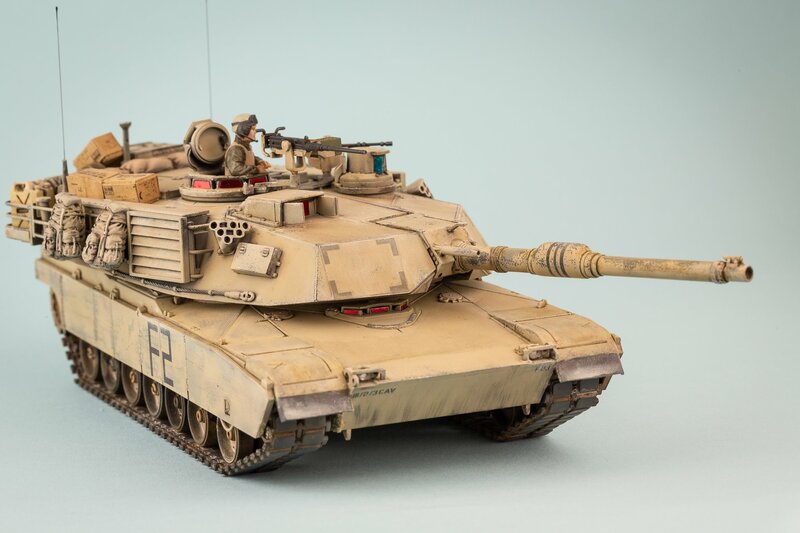 But heck I would be happy if they retooled this kit to make an M1A1 or M1A1AIM and give us the ability to make a Cold War, Desert Storm or OIF tank. 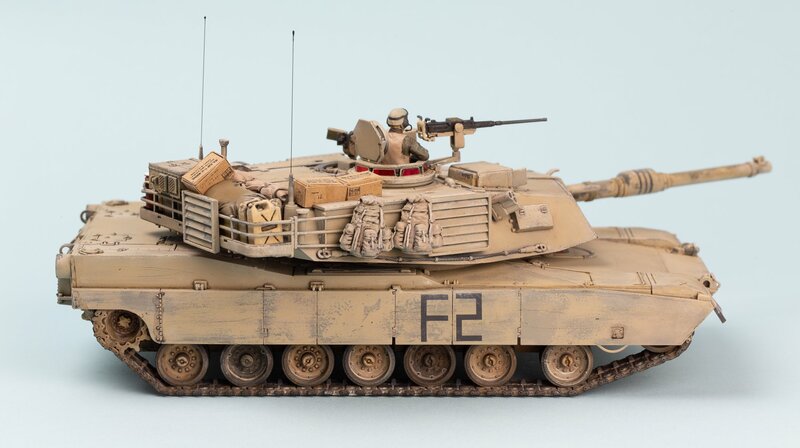 Or the ability to make a Marine Corps version. 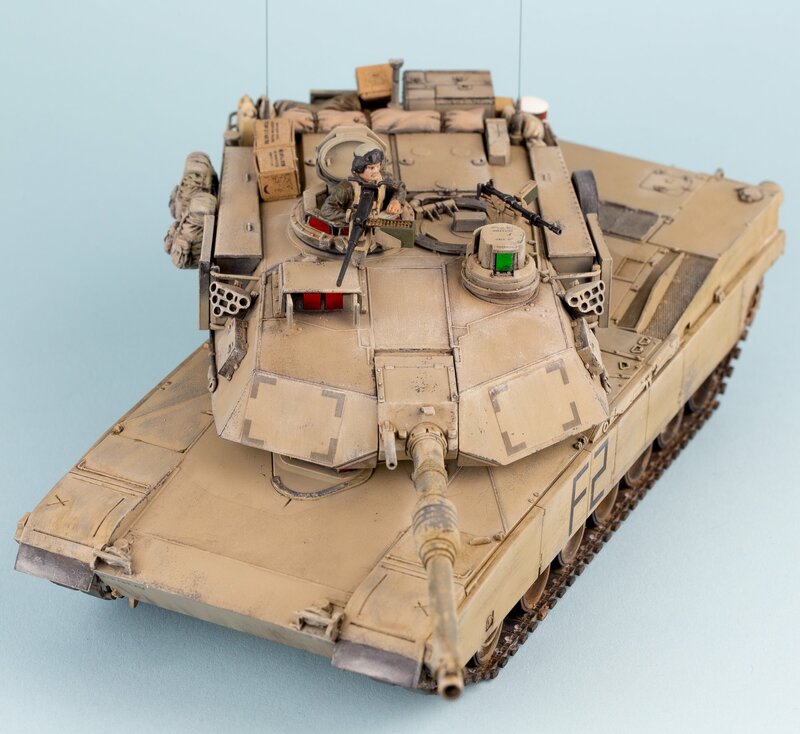 I think besides this kit, their only modern armor are two different HMMWVs, a JGSDF Type 10 tank and JGSDF Type 16 wheeled vehicle similar to a Stryker MGS.